Prospecktor showed his enormous potential at birth because of his outstanding conformation. That assessment was validated, as he has become my all-time favorite riding horse since he was started under saddle -- because of his natural desire to work off his hindquarters and his physical ability to do so with such balance and power. A ride on Prospecktor inevitably elicits the response "Ahhh....Nirvana!" He is of the rare Kann sire line which brings in high function and powerful, correct structure. His dam contributes the powerful body of the Bairactar sire line, structure of Topol, and beauty and turn-on from Salon and Aswan. His body is the epitome of balance: his rear end, back, and shoulder are equal thirds. 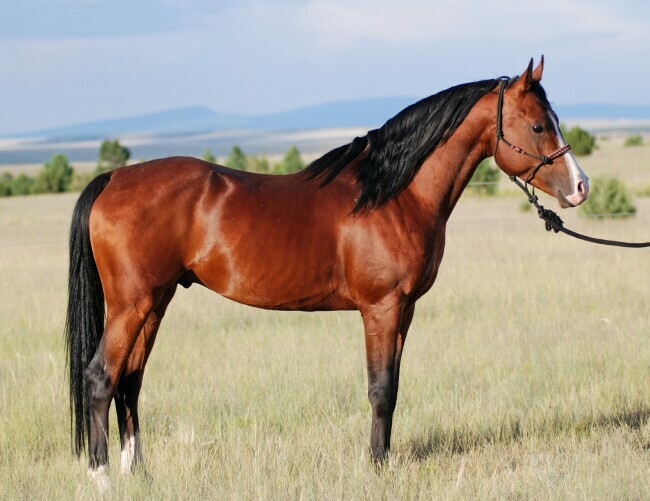 Combining this with his great muscling, large joints and plenty of bone, you have a horse that is virtually indestructible even under the rigors of very high level work – where he is already demonstrating his talent. Prospecktor likes to work and thoroughly enjoys the companionship of people. He has that magical combination of conformation, temperament, desire, and self-carriage that is the dream of every rider and breeder. 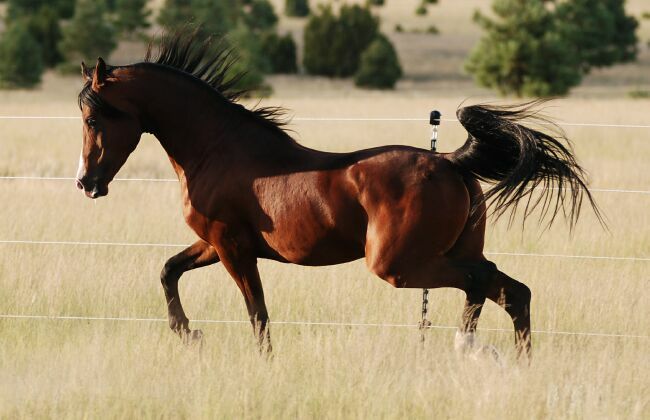 Prospecktor is a big step towards the goal of our breeding program to produce many 'once-in-a-lifetime' horses.